Recently New Zealand based website The Spinoff published a lengthy piece on what as they saw it was the recalibration of global pop, a mini-revolution brought about largely by Kiwi artist Lorde as a direct consequence of the success of her debut album Pure Heroine. A little millennial in tone, in amongst the weighty evidence offered to support the theory however came a more universal truth, one that can be applied to both the image-heavy and largley pre-teen and post thirty-something world of commercial radio, but also way beyond that boundary into what could loosely be termed the albums market. This revelation came via a quote from PopBitch, who rather maturely for them posited “Things have been getting steadily more bleak in the world at large, and in pop charts, too”. For Calexico – and a host of other non-MTV friendly artists – this theory is just as applicable. Best described a semi-permanent collective, the Arizonans re-gathered to follow-up on 2015’s Edge Of The Sun almost immediately after the US Presidential elections of the following year, galvanised by the stark emotions the result gave the world. This isn’t to say that The Thread That Keeps Us is a protest album in a conventional sense, but one that instead uses this re-ordering of all our lives to colour their rusty Americana with a little emotional heft. 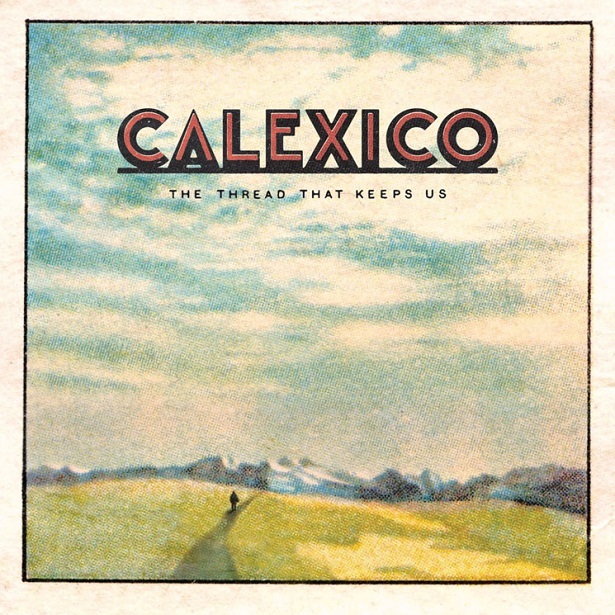 Pulling off the neat trick of neither being a hostage to our future or retreating into a sepia past, on it Calexico once again bring warmth and sincerity to a collection of songs that defy easy labelling. You can read the complete review here (A new window will open). That data about the change from major keys to minor keys is really interesting. Yeah – the kind of thing that until it’s pointed you don’t really pay much notice to.